Want to see all the technologies used by goodgamestudios.com? Goodgame Studios is the fastest-growing games company in Europe, and one of Germany’s most successful tech-companies. With more than 750 staff, at our Hamburg offices we develop innovative online games played by over 190 million players in almost 200 countries and in more than 24 languages worldwide. Our success is built on our talented and motivated team of experienced e-Business experts and dedicated newcomers. With our quantitative approach fueled by driving ambition, we strive to continually improve our products. We want to set new global standards in technology, product quality, sales and marketing. We’re looking for entrepreneurial personalities who really want to make things happen. Become part of our impressive success story – apply now! 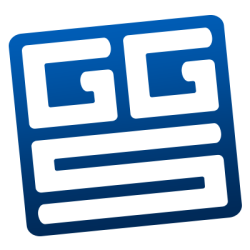 For a quick look at additional technographic info on goodgamestudios.com or any domain on the web, download our Chrome Extension. Check out our help article to see how Datanyze Insider can help you.